Founded in 2018 by Gus Brabham and Bennett Griffin, Brabham Griffin Insurance combines the innovative resources of a large broker with the personal service of a boutique agency. The two partners began their careers in the insurance industry in 1994, working for Frank B. Norris & Co., Inc. which later merged with Regions Insurance, Inc.
All these years in the business has taught us that there’s no substitute for experience or relationships. That’s why both are hallmarks of Brabham Griffin Insurance. Together with our dedicated team, Brabham Griffin works with individuals and businesses of all sizes throughout South Carolina, North Carolina and Georgia to help reduce insurance costs without reducing protection. We do all of the research, the groundwork and analysis to ensure you’re getting the best coverage for the best price. We do that by offering a wide range of products and services and by leveraging the latest technology. Simply put, we make insurance work more efficiently and effectively for our clients. At every point along the way, we treat our clients - large and small - like family. From receptionists to agents to adjusters, every member of our team is committed to building connections and fostering lasting relationships. That client-centric environment offers a sense of comfort that’s hard to find in agencies with similar resources. At the same time, those extensive resources are a rarity among independently owned insurance agencies. In other words, you get the best of both worlds with Brabham Griffin: the expertise and tools to optimize your insurance along with the personal, attentive service to timely and efficiently respond to your needs. A Certified Insurance Counselor, Gus Brabham served as president of Frank B. Norris & Co. until it sold to Regions Insurance in 2013. During his time with Regions, Gus became South Carolina’s area executive. In both roles, he was responsible for production, profitability and carrier relationships. In addition to his management roles, he more than doubled his personal book of business. In addition to that experience, the Wofford graduate brings to Brabham Griffin a passion for meeting client’s needs creatively, strategically and efficiently. 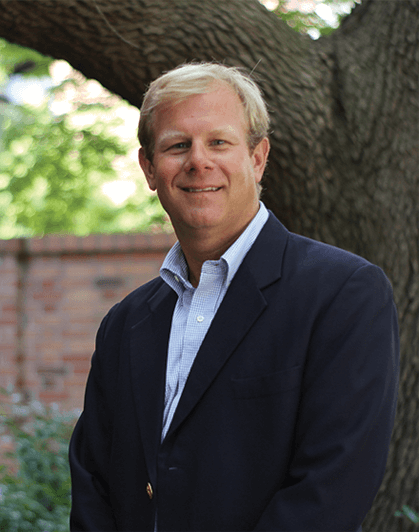 Gus is a former board member of the Independent Insurance Agents of South Carolina, where he served as its PAC Chair, as well as the Charleston Home Builders Association. He has also been involved with several local nonprofits, including Oliver Gospel Mission, Jubilee Academy and Camp Cole. He and his wife, Heather, have three boys and reside in Columbia, SC, where they’re active in their church and community. When not working, Gus enjoys hunting, fishing, snow skiing and boating with his family. Prior to forming Brabham Griffin, Bennett served as vice president of Frank B. Norris & Co. After the transition to Regions Insurance, he served as that company’s vice president, as well. Like Gus, Bennett is a Certified Insurance Counselor and also doubled his book of business in his previous roles. He brings to Brabham Griffin technical expertise from years in the business along with a tireless devotion to his clients. His main area of focus is on building relationships with clients and key carriers. 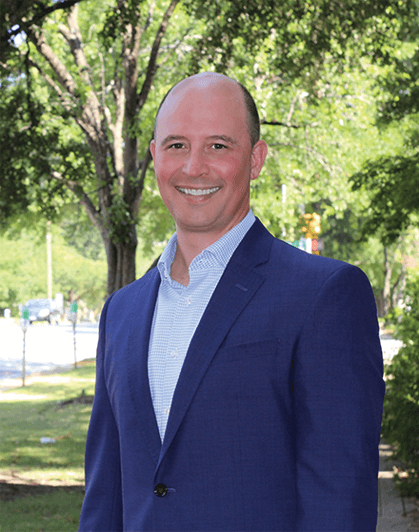 A Clemson University graduate, Bennett has served as a board member of the Columbia, South Carolina Home Builders Association and currently serves on the boards of the South Carolina State Home Builders Association and the South Carolina Building Codes Council. Bennett is also a member of several local chapters of the South Carolina State Home Builders Association. He is an active member of his church and supports many local nonprofits, including Jubilee Academy and Camp Cole. Along with Gus, he has coached church league basketball and little league baseball. He and his wife, Helen, have three children, all of whom enjoy playing tennis, hunting, fishing and boating together.